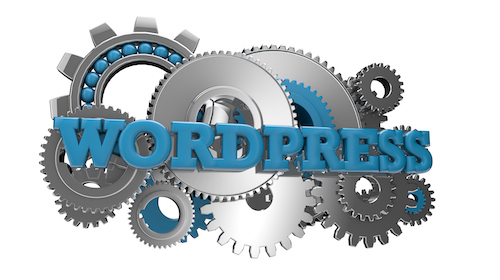 Back in May, we took a look at what was coming down the line with the WordPress update 4.8. From a shiny new Events widget to tools that allow the display of images in sidebars without the use of a plugin or code, a great text editor for formatting posts to a video tool that lets people upload their videos (also to a sidebar area) from providers such as YouTube and Vimeo, the update was much heralded. Even developers got some updates just for them, including a customizer pane for sizing the screen and an edit user section that displays names. Now, the intrepid and ever-forward-thinking folks at WordPress are prepping the next update, WordPress 4.9, which is due for release on November 14th. Some people have already been fortunate to get a beta version preview of the update and are sharing some of the tantalizing tidbits. Read on for a small look ahead. Note: If you find you absolutely can’t wait for version 4.9 you can take the beta version for a test drive using the WordPress Beta Tester plugin. When you make changes to a theme using the customizer tool, you’ll now have the option to save your changes as a draft instead of having them go live instantly. And in addition to saving theme changes, you’ll be able to schedule when the changes appear on your site. And if you want feedback on your theme changes, you can share a preview with friends and colleagues with a dedicated URL. Whereas the previously mentioned text widget allowed for both visual and plain text editors, you still needed to write code in order to add an image. Version 4.9 remedies this by including an “add media” button on the text editor that lets users quickly and easily add images inside the rich text widget. For those WordPress users who are proficient in writing code, 4.9 includes an enhanced code editor for custom CSS, themes and plugins. The editor comes with auto-completion and code suggestions, as well as help with those pesky syntax errors that inevitably pop up when editing themes. As far as “under the hood” changes go, look for better mapping for theme widgets and navigation menus when you choose to switch themes; a ditching of the SWFUpload library; and recurring and automatic searches for files in plugin and theme editors. There’s no doubt more will be included in the update, but most of us will just have to wait until November to find out what new tips and tricks developers have thrown into WordPress 4.9.